Humanity is something that has progressed throughout time. To begin with, we were few and far between and now, we are everywhere. Have you ever stopped to look into the origins of humanity? What civilizations were the first? How have we evolved throughout time? Well, our species originally emerged from within Africa about 300,000 years ago. From that point, everything changed. I recently came across a video that perfectly breaks down our history when it comes to numbers. While it was made back in 2016 it reigns true even now. We started out so few in numbers and now there are almost 8 billion people across this globe we call home. 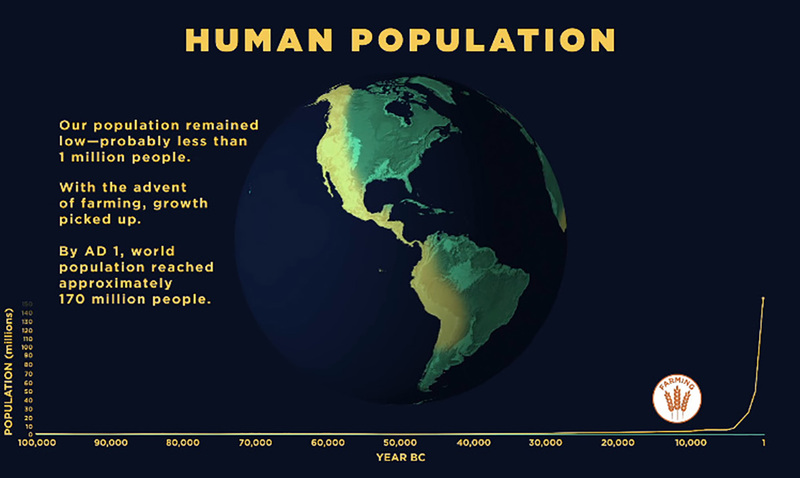 While the human population might seem small to you, it has come so far. We have traveled from one place to all over the world and continue to do the impossible day in and day out. While it is amazing that we have come so far it is also important that we work on minimizing our impact on this planet. While growth is great, the damage is not. This world only has so many resources that can be used. What do you think about all of this? How long do you think it will take for us to reach 11 billion? Perhaps not nearly as long as you might think. This video covers everything from the Roman Empire to the Industrial Revolution and everything in-between. While you can see we are all over the map, there is still plenty left to explore.